Mr. Nicholas Rupert will perform his Distinguished Major Recital on Sunday, March 3 at 3:30pm in Old Cabell Hall. This event is free and open to the public. Nicholas Rupert is a fourth-year student at the University of Virginia. He will graduate this spring with degrees in Music with a Performance Concentration, and Commerce with Concentrations in Marketing and Management on an Entrepreneurship Track. He began playing the cello at the age of four, and quickly developed a love for the art. Next year he will be working for Anheuser-Busch as a Global Management Trainee, and hopes to focus on responsible drinking marketing. His most recent study has been under the instruction of Professor Adam Carter at the University of Virginia. He is a member of the Charlottesville Symphony, and has played in many Chamber Ensembles during his time at UVA. He received the 2018 UVA Arts Council Distinguished Artist Award in Music for demonstrating outstanding achievement in his musical study. While at UVA, he has played in masterclasses with Carl Donakowski and Alan Weinstein. Nicholas has greatly enjoyed furthering his musical studies at UVA, namely in courses such as Music, Sound, and Embodiment; What Good is Music; and Debussy, Ravel, and Their World. 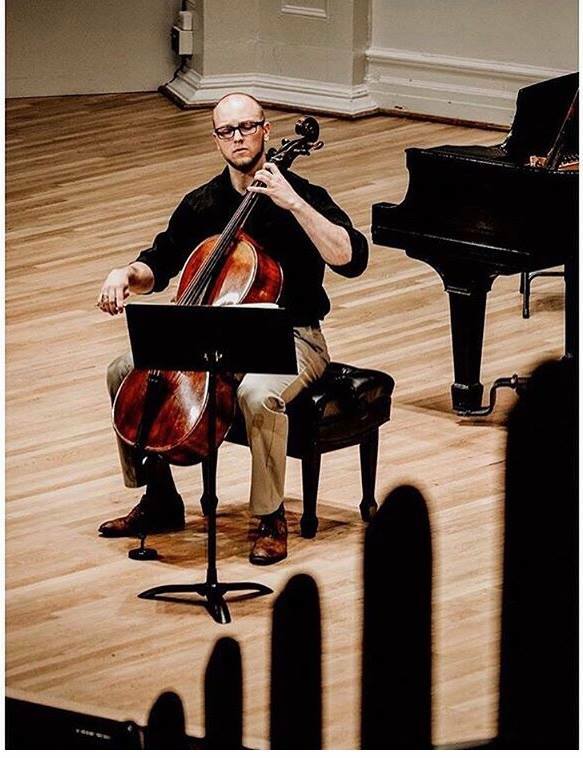 In addition, he is a Meriwether Lewis Fellow, a bartender at Crozet on the Corner, and a “dad” to many of the other cellists at UVA. Nicholas greatly believes in the power that music holds to bring people together. His favorite UVA memory is playing cello at the Vigil for Otto Warmbier in the summer following his second-year.